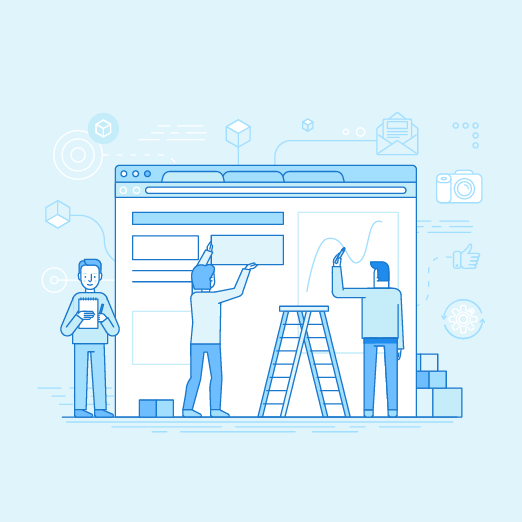 Many chambers and associations are currently in the process of building a new website or perhaps they’ve already done this and are considering refreshing their content. So whatever stage your website is currently in, everyone in your organization likely has their own opinion of how it should look and function. What’s the purpose of your Chamber’s website? Likely there’s even a stark contrast between how you view your organization’s website compared to how the average consumer, or even your fellow members, may view your website. So, the main question is: what’s the purpose of your website? Is it so members can view the events calendar and easily register for events? Is it so it’s easier for potential members to join? Is it so tourists can find a restaurant when they’re hungry? Well, it can be all of those things, and more. Most organizations, whether they realize it or not, are in a unique position to create a valuable website that can be a huge asset to their industries and communities rather than just a resource for existing members or potential future members. Ultimately, the decision is going to lie with the organization’s executives, staff and board members to determine the layout of the website because it’s all about how your organization wants to present itself on the world wide web. Your website should focus on what is best for your members as a whole. For example, maybe you’re a chamber located in an urban area where tourism is low, so what’s the point of having a dedicated link to your lodging or restaurant members on the home page? The point is that, even in urban areas, restaurant and lodging categories usually rank in the top 5 most referenced categories within online business directory searches, so why not make it easier for online consumers to find them? This adds value for the category members by increasing visibility and makes it relevant to consumers who use the website to find information about the area. So, you then ask: would this move be demonstrating favoritism towards a few members? No, because it’s in the best interest of making your website more valuable by driving more traffic to the site. Our industry/community already has a resource for this information, so we don’t want to compete with their website, right? No, because you should be doing whatever is in the best interest of your members. The same concept applies to a tourist-centric area or an association catering to both general members and industry partners (think a Realtor association with mortgage lenders and home inspectors as members in addition to the agents). There might be so much focus on certain members, you are struggling to get decent visibility for all members because the directory button is hidden way up in the top corner of your website instead of having it prominently displayed as a main navigation button. Your business directory is the single-most direct path to your members and should rank high on your priority list. So, in a nutshell, the most prominent things displayed on your website should be the top few pages that most people want to visit.